North Carolina employed 99,210 RNs in the year 2016.The hourly and yearly mean salary of a registered nurse in North Carolina was $30.08 and $62,560, respectively, as per the information provided by the Bureau of Labor Statistics (BLS) survey report of 2017. Employment per thousand jobs in the state was 23.082. The annual RN salary in NC was around $58,032 that is 14 percent lower than the National average RN salary as per Indeed.com report released on August 2018. In order to practice nursing in the state, it is mandatory for an aspirant to own a license. 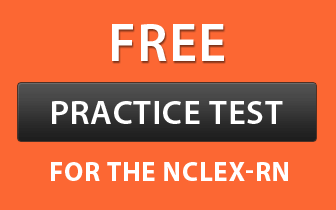 A candidate needs to pass the NCLEX-RN exam to earn a licensure, which is possible after finishing a degree or diploma course from an accredited school. The table below shows the salary of an RN on different percentile brackets. 90% of Registered nurses earned an income less than $82,140 per year; while the remaining 10% took more than $82,140. 75% of employees made less than $72,790; 25% made more than $72,790. 50% RNs received an income less than $60,880; the other 50% enjoyed more than $60,880. 25% of employees were salaried less than $52,130; while remaining 75% were salaried more than $ 52,130. 10% remunerated with a salary less than $44,500; while the remaining 90% were remunerated more than $44,500. Salary of a nurse depends on various factors such as education level, nurse ranking, certification level, experience, nursing specialty, hours worked and most importantly geographic location. Therefore, the salary of an RN is calculated after considering all the above factors. According to the salary.com 31 July, 2018 report, the cities of Charlotte and Gastonia paid best salaries to Staff Nurse – RN II. They offered $71,395 and $71,492 respectively, whereas Jacksonville and Fayetteville paid minimum salaries, i.e. $65,967 and $66,878 respectively. If you look at the previous report of October 2014, Wilmington was the lowest paying city with a Median Annual, Monthly, Weekly and Hourly Salary of $58,989, $4,916, $1,134 and $28 respectively. Charlotte, Concord and Gastonia paid the highest median annual salary of $68,729. There are a number of positions in this sector that involves RN First Assistant, Cardiac Electrophysiology Lab Nurse, Ambulatory Nurse, Clinical Nurse Manager and many more. They work according to their positions and perform their roles. So, they are paid as per their job titles. Clinical Nurse Manager remunerated with $66,000 which is highest among all while RN Outpatient Oncology and Psychiatric Nurse were provided with the lowest amount, i.e. $55,000. From the time of recession, health care has been the only leading sector for new job prospects, but entering in this world is a hard row to hoe. But once you get entry, there are enormous opportunities in this sector to attain a thriving career. Nurses are required all over the world. Besides, there is a distinctive feature of this field that you can learn while earning which gives a boost to your career. You will be preferred over others if you have better educational background. This means better pay and superior position. Thereafter, you can change your work field and can enter into leadership or management areas of nursing. On the whole, the job opportunities for RNs are most likely to be excellent. The BLS survey report also informs that by 2017 there will be additional need of 438,100 registered nurses to perform in hospitals, nursing homes, and other entities throughout the U.S.